No landlord sets out to break the law, but that easily can happen if you don’t have the right lease agreement. That’s because there’s an ongoing power struggle between the freedom to enter into contracts, and the letter of landlord tenant law. 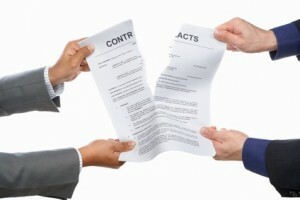 The right balance must be struck in each individual lease agreement. 1. Reactionary. The cure devised for a highly-sensationalized case can be worse than the disease. 2. Difficult to interpret. The language of the law sometimes defies common sense. Odd legal phrases like “the lease agreement notwithstanding…” make laws difficult to digest. 3. Unresponsive. Often landlords’ needs are not addressed, or the law leaves details to the imagination. What’s more, the courts have a hand in crafting landlord tenant law by interpreting statutes, contract and personal injury law. These decisions are as binding on landlords as statutes and local ordinances, yet are not common knowledge. A late fee that is “excessive” or rolls from one month to the next. Even if a statute is silent, courts often say no to these fees. The tenant agrees to give the landlord 60 days to return the deposit. Shifting the burden of responsibility to the tenant to keep the premises safe and habitable, or to excuse the landlord’s negligence. Local laws may prohibit these provisions — but not all local laws. If you have owned properties in more than one state, you may be especially vulnerable to mistakes because what is perfectly acceptable in one place may be illegal in another. The lease cannot contradict the law. The law controls. If your state says the deposit must be returned in 30 days, you cannot extend that deadline, even if the tenant agrees. A lease cannot require a tenant to give up any right or protection afforded under the law. Provisions regarding payment of attorneys fees, forgoing litigation, or waiving a landlord’s liability for conditions of the property are all examples of potentially illegal lease provisions. Many leases contain an “out” in the event a provision is illegal. This “severability” clause allows the inappropriate portion to be severed from the remaining contract, which remains in force. The alternative is dire. If the lease contract is premised on an illegal provision, the landlord may find there is no way to enforce any of the provisions of the lease. Avoid using lease forms from another state. Tailor any standard lease agreement to the local law. When you think you have the lease agreement you want, ask a local landlord attorney to review it before asking a tenant to sign. I’ve entered into a lease on good faith, employment, and decent health. My situation has changes changed such that I’m now applying for bankruptcy, social security disabilities and my doctors have instructed my family that I should no longer live alone. A move could be imminent and I cannot afford to pay for the 2 months of rental payments plus any other expenditures. Should all the approvals and relocations go as planned, do I have a remedy to break my lease agreement with any extra expenditures? Please advise if this qualifies under state or federal law and what my next course of action would be?